Western countries are blocking attempts to investigate the Idlib chemical incident because in the event of a probe it will be established that the "attack" was a false flag and lie, Syrian President Bashar Assad told Sputnik. DAMASCUS (Sputnik) — The United States and other Western countries block any attempts to launch an impartial investigation into the alleged use of chemical weapons in Syria, Syrian President Bashar Assad told Sputnik. 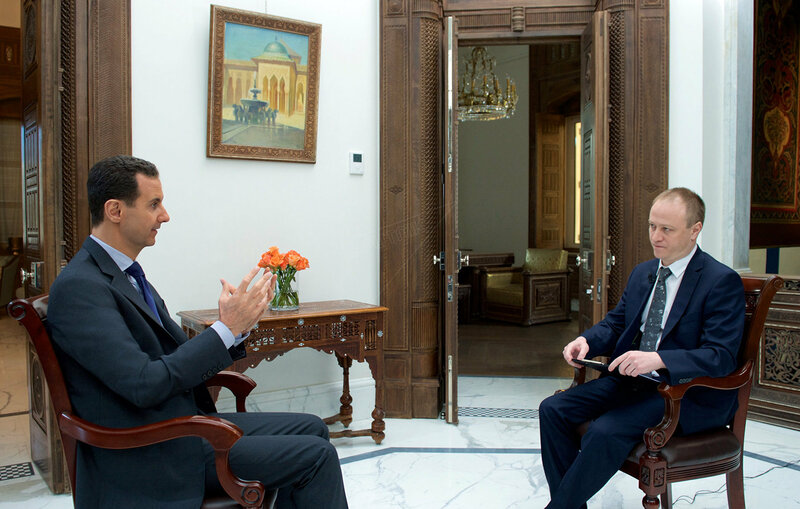 "We formally sent a letter to the United Nations, we asked them in that letter to send a delegation in order to investigate what happened in Khan Shaykhun," Assad said in an interview. "Of course till this moment they didn't send, because the West and the United States blocked any delegation from coming, because if they come, they will find that all their narratives about what happened in Khan Shaykhun and then the attack on Sha'irat airport was a false flag, was a lie," Assad stressed. Similarly, he said that in the wake of the first attack in Aleppo carried out by terrorists against the government army a few years ago, Damascus had asked the United Nations to send an investigation delegation "in order to prove what we said about the terrorists having gases used against our army." "And later many incidents happened in that way, and they didn't send any delegation. It's the same now," Assad noted. There was no chemical weapons attack in the Syrian province of Idlib, the reports of it were a false flag play which was supposed to justify a US missile strike on a Syrian armed forces’ airbase, Bashar Assad told Sputnik. "So, for us, there was no gas attack and no gas depot, it was a false flag play just to justify the attack on the Shairat base. That's what happened," Assad said. Assad added that the Syrian army did carry out an attack in the province of Idlib on April 4, when the suspected chemical weapons incident in Khan Shaykhun took place, but at a different time than reported by western media. "First of all, we don't know if the site that we attacked that day half an hour before noon, about 11:30, was a chemical warehouse or depot or anything like this. And their story said that the attack happened at 6, 6:30 in the morning. We didn't launch any attack at that time. So, you have two possibilities: the first one is that there was an attack at lunch time or at about 11:30. The other possibility that we believe in is that it was a false flag, there was no attack," the president explained. The videos and pictures from the site resemble those created by the White Helmets in "the last year or two years or more … which is an elusive story," Assad said. "That's what we believe in, because the attack was already prepared, and they didn't want to listen, they didn't want to investigate; they only wanted to launch the attack. We believe it was a false flag for one reason and a simple reason: if there was gas leakage or attack, and you're talking about 60 dead in that city, how could the city continue its life normally? They didn't evacuate the city. No-one left the city, life continued as normal, and this is mass destruction. The other day, they attacked Sha'irat where they said there was the gas depots, and they attacked all the depots, and there was no gas coming out of that airport. No-one of our army officers or military staff, was affected by any gas," he said. A video footage from the Syrian Khan-Shaykhun presented by the "White Helmets" completely contradicts the specifics of sarin gas use, Syrian President Bashar Assad said in an interview with Sputnik. Assad stressed that the video clearly shows people without any means of chemical warfare protection helping those who allegedly fell victims to sarin gas attack. "…Even if you look at the pictures, you can see that the rescuers — presumable rescuers — were rescuing people without masks, without gloves, and they were moving freely. How? 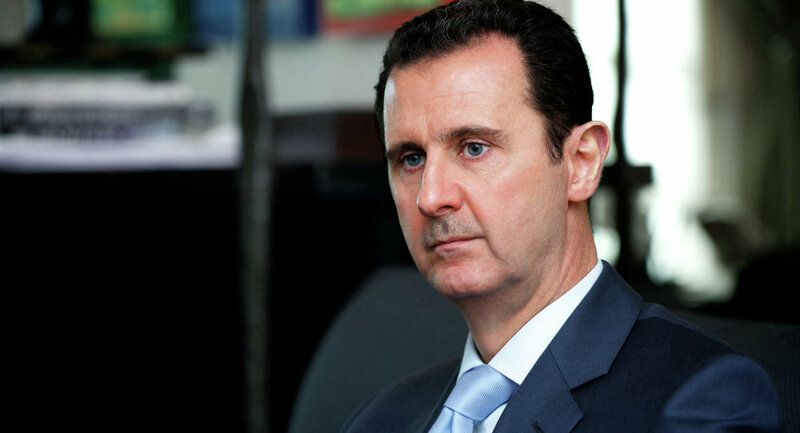 This is against all the specifications of the sarin gas that they talked about," Assad said. "You can fake this image, it's very easy. So, you cannot just base your judgment on images and videos, especially made by al-Qaeda [terrorist group outlawed in Russia]," the Syrian leader stressed. On April 4, a chemical weapons incident in Syria's Idlib province claimed the lives of some 80 people and inflicted harm on an additional 200 civilians. The Syrian National Coalition of Revolutionary and Opposition Forces, as well as a number of Western states, accused the Syrian government troops of carrying out the attack, while Damascus refuted these allegations, with a Syrian army source telling Sputnik that the army did not possess chemical weapons. Russian President Vladimir Putin said April 6 that groundless accusations in the chemical weapons incident in Syria's Idlib were unacceptable before the investigation into the matter had been carried out. However, the incident was used as pretext for a US missile strike against the Ash Sha'irat airbase carried out late on April 6. US President Donald Trump characterized the strike as a response to the alleged use of chemical weapons by the Syrian government troops while Russian Foreign Minister Sergei Lavrov said it was a violation of the international law. Iranian Supreme Leader Ayatollah Ali Khamenei described the US missile strike against the Syrian airfield as a strategic mistake. Earlier this year, Syrian President Bashar Assad said that the country’s government had never used weapons of mass destruction, including chemical weapons, against the Syrian people. Besides, under a Russian-US deal after the east Ghouta sarin gas incident in 2013, Damascus joined the Convention on the Prohibition of Chemical Weapons and agreed to destroy its stockpile under Organization for the Prohibition of Chemical Weapons (OPCW) oversight. In January 2016, the OPCW announced that all chemical weapons in Syria had been destroyed.